With her deeply searching observations and trippy, winding way with words, P. K. Page was ahead of her time. 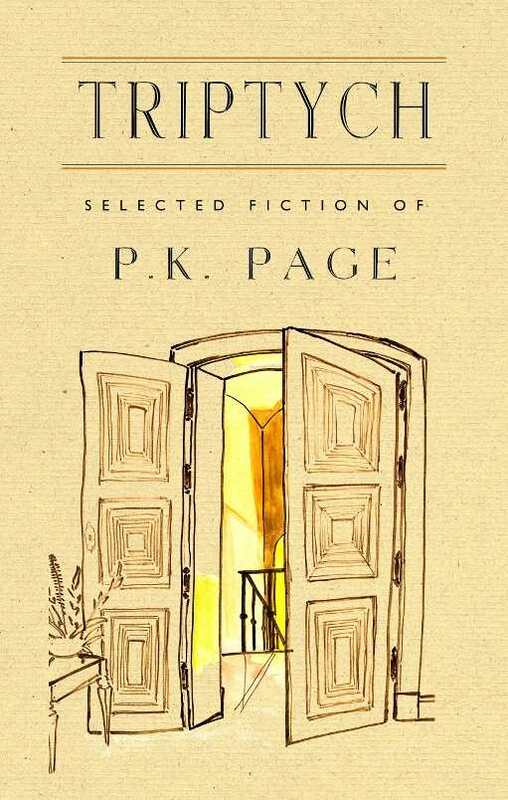 Renowned Canadian poet P. K. Page wrote a great quantity of spellbinding prose in her time, in addition to the poetry that made her famous. Edited and with an introduction by Elizabeth Popham, Triptych collects several such stories, illustrating Page’s immense literary talents. Ranging from loving romances to speculative fiction, these stories run from one end of the genre spectrum to the other. In “Unless the Eye Catch Fire,” a luminous apocalypse begins when the narrator suddenly sees that the grass is “unexpectedly emerald”; later, the ground becomes so hot to the touch that a global drought commences. Told through journal entries in which the narrator inevitably loses track of the date, the story is simultaneously heartbreaking and beautiful. Similarly, “Crayons” takes on a somber note, but with more subtle undertones. The child narrator notices “the man [her mother’s cousin] married” as he shows signs of emotional abuse, and utilizes crayons to reveal her dark feelings and observations. The opening tale, a novella entitled “The Sun and the Moon,” sets the emotional scene for the collection as a whole, but it differs from the other stories in its romantic style. Kristin is swept away by artist Carl, but over the course of the story she loses herself in the stillness of nature. It’s a story of how empathy taken too far can be destructive, and its themes are more apparent than the themes of other stories in the book. The subtlety of the majority of the tales creates an unsettling atmosphere that lingers even as it penetrates the psyche. “The Sun and the Moon” is not the only perspective-shifting love story in the collection, however. Romance and how it morphs one’s identity is a motif that appears in several stories, most notably in “Fever,” in which a woman is tempted to cuckold her husband with the doctor who performs an intimate surgery on her. The emotional mosaic of Triptych also lends itself to intellectual explorations of memory, art, and the environment. Page’s black-and-white illustrations, paired expertly with particularly poignant stories, add to the solemn feel of the book. With her deeply searching observations and trippy, winding way with words, P. K. Page was ahead of her time.